Let PersonnelPlus Employees Save You Time… and Save You Money! PersonnelPlus, formerly Atco Job Placement Services, is celebrating more than 30 years of assisting Athens County businesses with their employment needs by capitalizing on the skills and abilities of workers with disabilities. 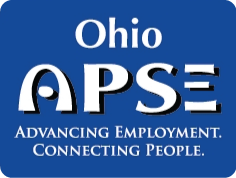 Founded in 1983 from a grant funded by the Ohio Rehabilitation Services Commission (ORSC), the program was launched to assist individuals with disabilities to identify their skills and then match them with employment needs of area businesses. The program provided an alternative to workers with disabilities who desired employment opportunities apart from a sheltered workshop environment. Even before the formal beginnings of an employment service, Atco operated the Athens Recycling Program in 1977 and cleaning services for Hocking Hills State Park in Logan, Ohio in 1983. Over the years, special projects evolved that created more employment opportunities for workers with disabilities. These included Athens Curbside recycling in 1984 (which is now operated by the Athens-Hocking Solid Waste District), Pro Mow from 1985-1998, a lawn maintenance service, and Atco Janitorial Services from 1985-2007, a commercial janitorial service. Today, PersonnelPlus has become a viable employment resource to area businesses. Josh Hilliard, Job Developer for PersonnelPlus, is quick to point out the benefits to area businesses by utilizing qualified and reliable workers with disabilities. Currently, there are approximately 70 individuals with disabilities who work in more than 50 businesses throughout Athens County. Businesses are realizing, more than ever, that hiring workers with disabilities makes good business sense. With the proper job match provided by PersonnelPlus, workers often stay at a place of business, providing quality workmanship for years.